Sujata and Pravin Kalgutkar gave birth to two baby boys but unfortunately, both twins were bron prematurely with low bith weight and respirtory distress. 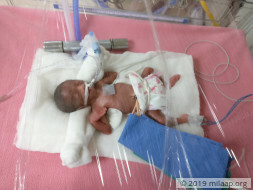 Both babies are now on ventilator support and require to be in the ICU for another 12 weeks in order to be able to recover and go home with their parents. The total cost of treatment is around 2380000 Rs (1190000 Rs each baby). 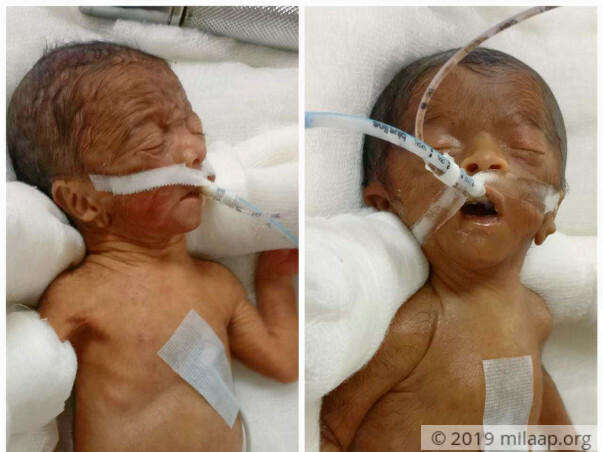 Sujata and Pravin need our help to give their babies the treatment they deserve. 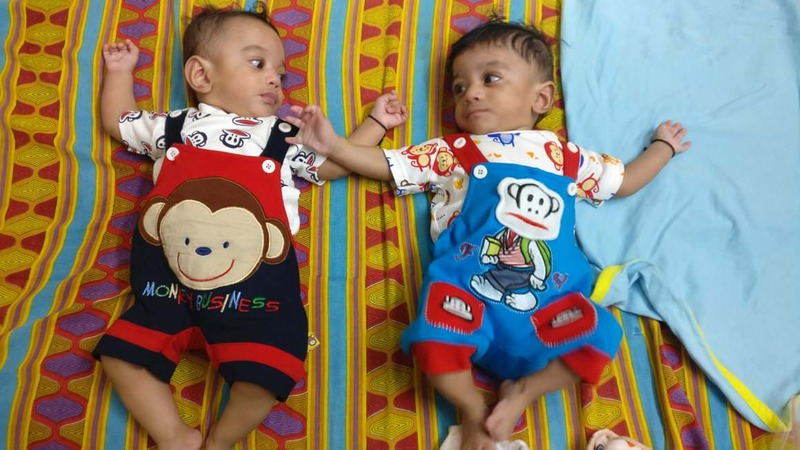 Twins of Sujata Kalgutkar are doing well. They are recovering slowly and are stable now. They are on their regular follow ups with the doctor. Thank you once again. Here is an recent picture of the twins. We're thrilled to inform you all that the babies are doing well now and are at home. They're recovering and the doctors have told us that they do not need any more treatment as of now. We need to take them to the hospital once a month for their vaccinations. Thank you everyone! This wouldn't have been possible without you. Thank you for the wonderful support that you have shown towards my babies on Milaap. They are doing better now compared to earlier. Their weight has increased and their dependency on the ventilator also reduced. The doctors suggest they will be discharged in about 10 days if they continue to recover at the same pace. Thank you all once again for all the support. Please do pray for their health and speedy recovery. Will keep you posted.